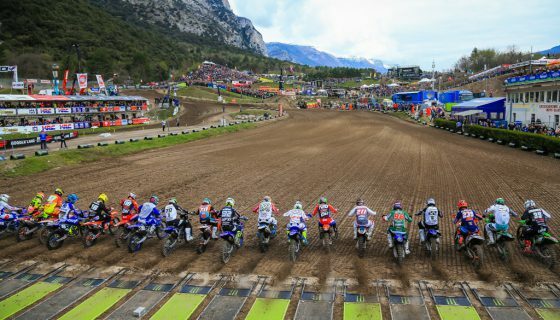 Febvre and Covington Lead the Way with Lombardia Qualifying Wins. 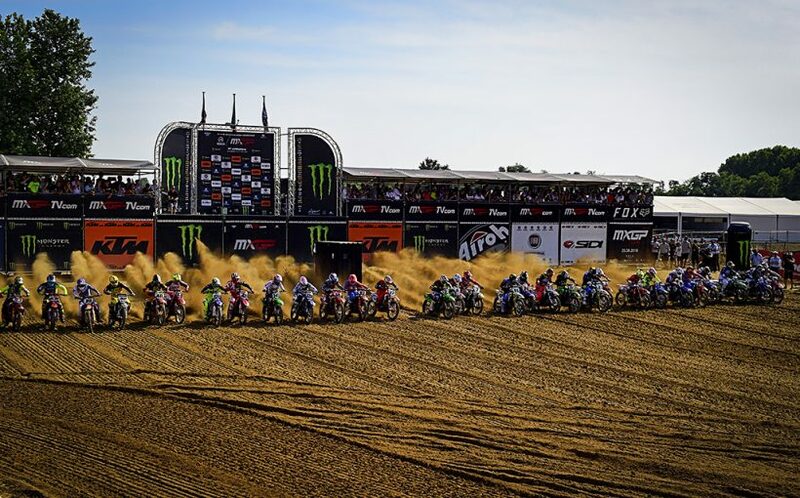 The 2018 Fiat Professional MXGP of Lombardia is underway below the sun at the sandy Ottobiano circuit. Today’s unpredictable racing was as exciting as it was impressive with Monster Energy Yamaha Factory MXGP’s Romain Febvre and Rockstar Energy Husqvarna Factory Racing’s Thomas Covington claiming their respective Qualifying Race wins! The summer heat along with the sandy circuit of Ottobiano gave the riders difficult conditions but gave the fans amazing racing! 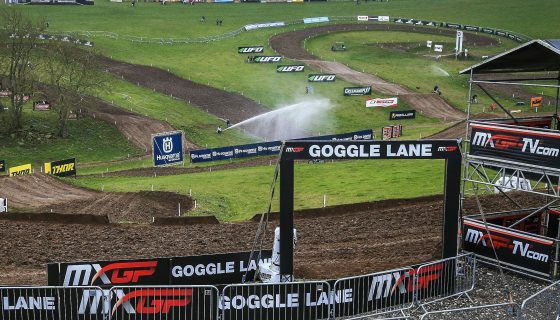 Both the MXGP and MX2 Qualifying races were full of action but adding to the racing of the premier classes was the FIM Women’s Motocross World Championship and FIM Europe’s EMX250 Championship. The Italian fan favorite from the Women’s racing was without a doubt MXFONTARACING Yamaha’s Kiara Fontanesi. Leading the race early was Larissa Papenmeier followed by Fontanesi, Altherm JCR Yamaha’s Courtney Duncan, and Nancy van de Ven. At the end however it was Fontanesi taking the home race win over Duncan, Van de Ven, and Papenmeier with Shana van der Vlist 5th. EMX250 Race 1 was a perfect performance from Team DIGA-Procross’ Dylan Walsh. Walsh took the holeshot and led every single lap. Behind Walsh was Honda Redmoto Assomotor’s Mathys Boisrame, BUD Racing Monster Energy’s Brian Moreau, and ASTES4-TESAR YAMAHA’s Roan van de Moosdijk. With 3 laps complete Moreau crashed while chasing Boisrame and gave third to van de Moosdijk. Later Boisrame closed to the back wheel of Walsh but a strong response from Walsh gave him the race win with Boisrame 2nd, and van de Moosdijk 3rd. Starting the weekend many eyes where on Red Bull KTM Factory Racing’s Antonio Cairoli. From the Italian fans to media and more Cairoli was the center of attention but at the start of the MXGP Qualifying Race it was Wilvo Yamaha MXGP Official Team’s Jeremy Seewer who stole the show. The MX2 overall winner from last year took the holeshot and lead while Cairoli was buried towards the back of the pack. 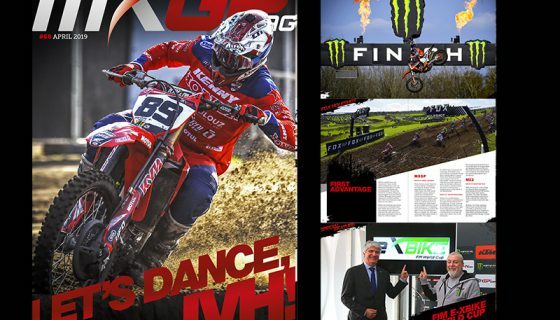 Chasing Seewer was Monster Energy Yamaha Factory MXGP’s Romain Febvre and Standing Construct KTM’s Kevin Strijbos. The opening lap was a struggle for Cairoli who not only had a bad start but also clipped another rider and went down. Rejoining the race in last position Cairoli had to work hard to achieve decent gate pick for tomorrow’s pair of championship races. Monster Energy Kawasaki Racing Team’s Clement Desalle was fourth at the beginning of the race and had both Rockstar Energy Husqvarna Factory Racing riders, Max Anstie and Gautier Paulin chasing him. First to make a move was Paulin who pushed past his teammate for fifth as Febvre started to pressure Seewer for the lead. On lap 5 Febvre took over the lead from Seewer and Desalle took 3rd from Strijbos. During next lap Strijbos lost 2 more positions to Paulin and Anstie. Around the same time Cairoli moved past Gajser after a short battle over 16th. Cairoli continued his charge forward for the next seven laps. With the final turn to go the Sicilian was 9th but with his fighting spirit managed to pass both Monster Energy Yamaha Factory MXGP’s Jeremy Van Horebeek and BIKE IT DRT Kawasaki’s Tommy Searle before the finish for 7th. Romain Febvre claimed the qualifying win with Seewer in second and Desalle took third after a last lap battle with Paulin. MXGP Qualifying Race Top Ten: 1. Romain Febvre (FRA, Yamaha), 23:45.610; 2. Jeremy Seewer (SUI, Yamaha), +0:03.260; 3. Clement Desalle (BEL, Kawasaki), +0:04.700; 4. Gautier Paulin (FRA, Husqvarna), +0:06.325; 5. Max Anstie (GBR, Husqvarna), +0:08.975; 6. Kevin Strijbos (BEL, KTM), +0:16.010; 7. Antonio Cairoli (ITA, KTM), +0:20.156; 8. 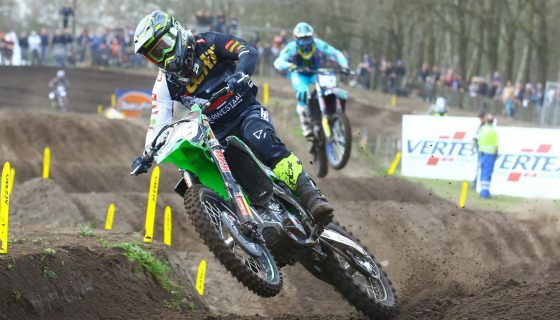 Tommy Searle (GBR, Kawasaki), +0:20.330; 9. Jeremy Van Horebeek (BEL, Yamaha), +0:20.331; 10. Maximilian Nagl (GER, TM), +0:24.015. Just as MXGP’s Qualifying race was difficult for Cairoli the MX2 Qualifying race was a challenge for Red Bull KTM Factory Racing’s Pauls Jonass. Rockstar Energy Husqvarna Factory Racing’s Thomas Covington however had the perfect race. Covington scored the holeshot and checkout from the field within the first laps. Also strong off the start was LRT KTM’s Davy Pootjes in second position. Behind Pootjes was Red Bull KTM Factory Racing’s Jorge Prado and then, after a series of passes during the opening lap, Pauls Jonass. By the end of lap 2 Jonass was passed Prado and pressuring Pootjes for second. On lap 6 both Jonass and Prado where past Pootjes who then lost another pair of spots in the next two laps to Team HRC’s Calvin Vlaanderen and Kemea Yamaha Official MX2 Team’s Ben Watson. On the 9th lap Jonass could be seen restarting his bike and in the meantime lost positions to Prado, Vlaanderen, and Watson. At the finish line it was Covington who took the qualifying race win, his 3rd this season and second in row, with Prado 2nd, Vlaanderen 3rd, Watson 4th, and Jonass 5th. Covington’s Rockstar Energy Husqvarna Factory Racing teammate, Thomas Kjer Olsen, fought his way up to 9th following a crash on start. MX2 Qualifying Race Top Ten: 1. 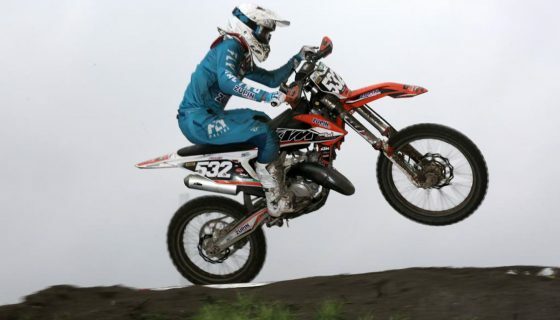 Thomas Covington (USA, Husqvarna), 23:58.093; 2. Jorge Prado (ESP, KTM), +0:07.842; 3. Calvin Vlaanderen (RSA, Honda), +0:13.121; 4. Ben Watson (GBR, Yamaha), +0:15.931; 5. 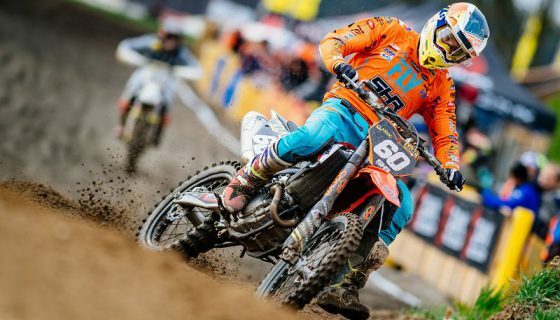 Pauls Jonass (LAT, KTM), +0:23.208; 6. Davy Pootjes (NED, KTM), +0:24.636; 7. Conrad Mewse (GBR, KTM), +0:25.513; 8. Iker Larranaga Olano (ESP, Husqvarna), +0:27.659; 9. Thomas Kjer Olsen (DEN, Husqvarna), +0:27.869; 10. Jago Geerts (BEL, Yamaha), +0:35.619.